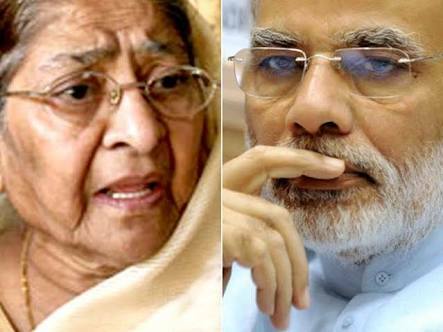 The Special Leave Petition (SLP) of Zakia Jafri -- widow of late Congress MP Ehsan Jafri, who was killed on February 28, 2002, the day on which Gujarat riots killing more than 1000 persons began -- has been placed for hearing in the Supreme Court on Monday, November 19. SLP challenges the order of the Gujarat High Court (dated October 5, 2017) dismissing her challenge to Magistrate Ganatra’s Order (dated December 26, 2013) and confirming the Closure Report of the SIT (dated December 8, 2012). Filed in eight volumes, SLP seeks clarification of the gross anomalies in the judgements of both lower courts (Magistrate and Gujarat High Court) that are both legal and on the facts of this case. conspiracy that facilitated the 2002 post-Godhra riots. Significantly, the Gujarat High Court on October 5, 2017 had dismissed the plea of Jafri callenging SIT's clean chit to then chief minister of Gujarat, Narendra Modi, and others pertaining to “larger conspiracy” behind the 2002 riots. Prominent human rights organization, Citizens for Justice and Peace (CJP) has, since the filing of the criminal complaint dated June 8, 2006, been assisting Jafri in the courts. Teesta Setalvad, Secretary, CJP is second petitioner in the present case. We argue in the present SLP, how, the order of the Gujarat HC records that the Magistrate has considered the Closure Report of the SIT and found no substance in the complaint of the Petitioner dated June 8, 2006. Thereafter the Court erroneously goes on to say that the Magistrate provided detailed grounds for not accepting the Protest Petition of Jafri. This, in our submission, is factually incorrect. It is our case that the Magistrate wrongly held that it was beyond the scope of his powers to direct further investigation. Besides, key and vital issues placed before the Magistrate, detailing our case and making out a sound and substantiated case of criminal conspiracy and abetment, we argue, have been not duly considered by the Magistrate or the High Court. The SIT filed a Closure Report in 2012, without giving an audience to Jafri as is her legal right. Thereafter she had to petition the SC again in a fresh SLP (Nos 8989/2012) to acquire the full and complete investigation records, reports and documents. These we obtained by order of the Supreme Court on February 7, 2013 after which we were given two months to file the protest petition. It is only after that order of the SC in February 2013, that the CJP legal team analysed close to 23,000 pages of documents that became the basis of the detailed construct and narrative of the Protest Petition. It is through this Protest Petition that the Petitioner has drawn out the lacunae in SIT’s investigation and constructed a more comprehensive and prima facie case for large conspiracy, abetment, dereliction of duty by First Responders and hate speech, which in the Petitioner’s opinion, is squarely made from the documents on record. In the present case before the SC we argue that it will be abundantly clear from a close perusal of the Protest Petition that the Jafri has substantiated further acts of a larger conspiracy by detailing evidence about the prelude and build up of a volatile atmosphere prior to February 27, 2002, the post mortems being conducted in the wide open in violation of statutory provisions, no preventive arrests and delayed implementation of curfew in Ahmedabad despite widespread violence from February 27, 2002 onwards among other issues. Besides, we argue that, an analysis of Police Control Room (PCR records) shows dereliction of duty by First Responders. The conspiracy, as constructed in the Protest Petition also provides proof of the also reporting and misleading Constitutional and statutory authorities and the destruction of records relating to minutes of meetings, police logbooks, wireless messages by those at the helm of power in 2002. However, despite recognizing that the complaint dated June 8, 2006 and the Protest Petition dated April15, 2013 dealt with events between February 27 and May 2002, we argue that she however leaves us remedy-less on the vital aspect of no adequate Investigation into the larger conspiracy and disregarding of the same by the Magistrate. It is on these issues as also on the conscious and erroneous clubbing of the Zakia Jafri complaint with the single incident at Gulberg society (that took place on February 28, 2002 and according to us is just one of 300 incidents and one link In the wider conspiracy) that the lower courts have erred and we seek correction and remedy.